We received our first delivery of the proof version on the 2nd November 2011, just one day after they were released. 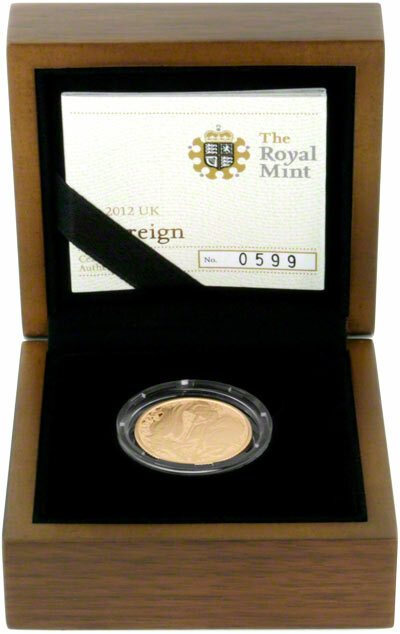 We received our first delivery of 2012 gold sovereigns on the 1st December 2011. 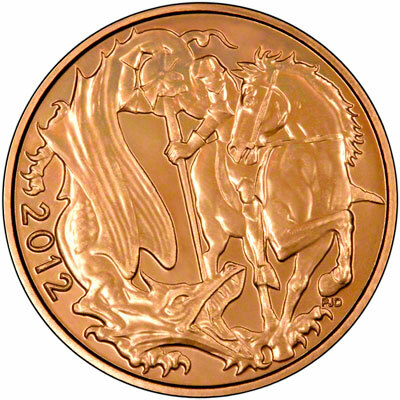 2012 is the year of the Queen's Diamond Jubilee and to commemorate this special occasion a new St. George and the Dragon reverse has been comissioned. 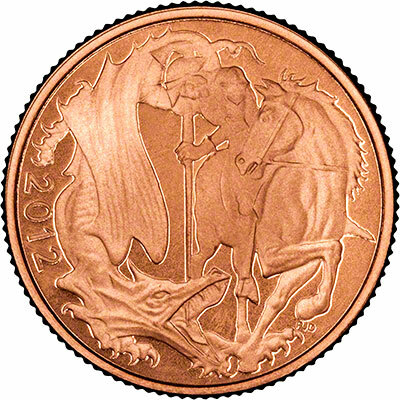 The new reverse by Paul Day features a new interpretation of St. George and the Dragon - so, similarly to the 2005 design, people are bound to either love it or hate it. Personally we like it, although we would perhaps have expected a new portrait on the obverse. Previous one-off designs include the 1989 500th Anniversary Sovereign, the 2002 Shield Reverse Sovereign issued to celebrate the Queens Golden Jubilee and the 2005 Sovereigns featuring a re-worked and stylised version of the traditional St George & Dragon design. Originally we were notified that there is no issue limit on the 2012 uncirculated sovereign, however we now know that the Royal Mint are stating an issue limit of 750,000. 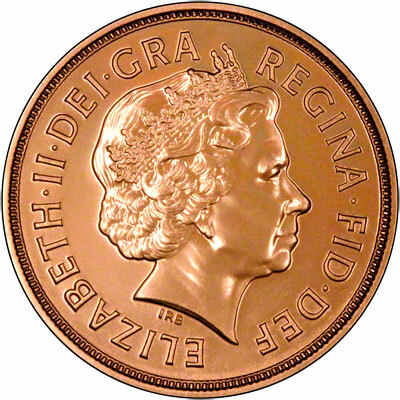 The issue limit for the 2012 proof sovereign is 5,500, excluding those included in sets. We have both the uncirculated and proof sovereigns in stock now for immediate delivery, at prices below the original Royal Mint issue price. When compared to the Royal Mint price of £379.00 you will make a saving of £80.00 per item when ordering from us. 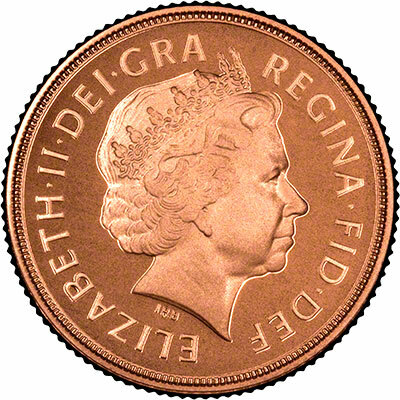 * The Royal Mint price was correct as of 20th January 2012. The 3 coin set usually consists of a sovereign, half sovereign and double sovereign or two pound piece, this is now called a Premium Three Coin Set. The 'standard' three coin set now contains a sovereign, a half sovereign and the quarter sovereign.